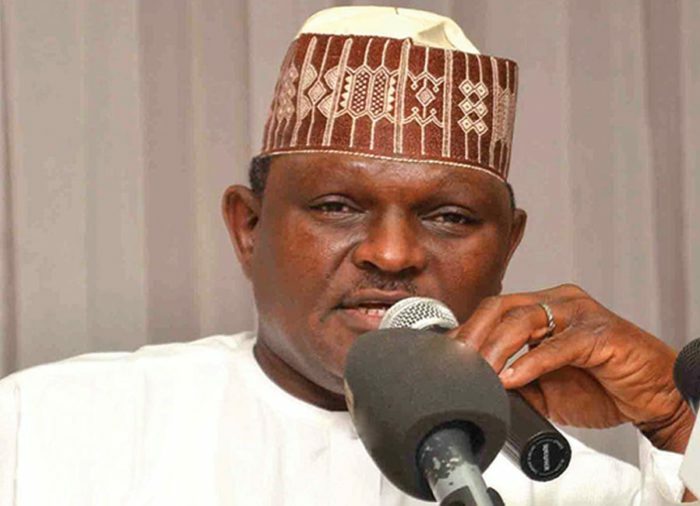 Hamza Al-Mustapha, a former National Security Adviser to ex-Head of State, has opened up on the circumstances surrounding the death of M.K.O Abiola, acclaimed winner of the June 12, 1993 election. Mustapha disclosed that leaders of NADECO went to the Presidential Villa, Abuja to collect millions of dollars, barely 24 hours after Abiola’s death. Speaking on People, Politics and Power, Mustapha said Abiola died in Aguda House after taking a cup of tea. According to Mustapha, “If Abiola was alive, he would have been one of my witnesses which I know won’t have happened, we should be looking at the larger issues. The questions is why should Abiola be killed and why should they be angry that I’m asking these questions? “They should support me to uncover that first. Those who killed MKO Abiola shared money and I don’t share money, so they are defending those who killed him and attacking me who has no money to share. “Ayo Opadokun, who is busy insulting now and claiming he has never been to Abuja, after Abiola was killed, was flown in a presidential aircraft to the Villa. That was the same time millions of dollars were brought from the Central Bank and shared among some Yoruba leaders. “I was at the villa trying to handover to the then Head of State and at that material time, some Yoruba leaders under NADECO came furious, charging and wanted to fight the government over the murder of Abiola. “I taped their arrival at the Presidential Villa and if you watch it they made all sought of nasty comments about sacrificing for the Yoruba nation, you could see the bitterness. But when they went in and came out their attitude changed, they were clapping hands, chatting within themselves. “When journalists asked about the meeting with the then Head of State, the same Opadokun said the ‘matter of Abiola is gone and that is no longer an issue. It’s a forgotten issue and we are going to forge ahead. “Abiola was killed few hours ago, this is the same man, he, Opadokun, and NADECO members claim to be fighting for but when they met the Head of State their remarks changed. However, now that I’m talking about the same man, I’m now an enemy.